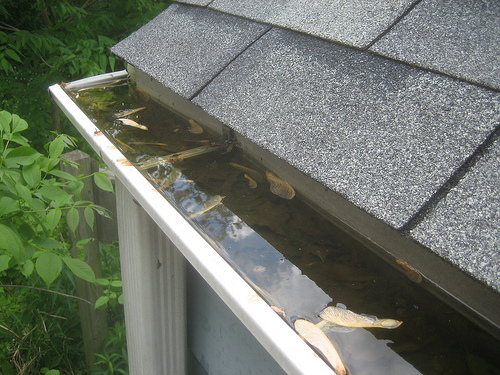 If you have decided to hire a gutter cleaning service then you have made a good decision for you and for your home. However, that is only true if you find a professional who will do quality work in a timely manner for a reasonable price. But how do you know that will be the case when you are trying to decide on whom to fire? Well, there are a couple of things to look for that will give you a good chance at finding a reputable professional. The first thing you want to be aware of is how they quote the job. You will find different gutter cleaning services charge different ways. For example, some will charge by the linear feet. They will give you a price per foot of gutter system. Others will charge based on the square footage of your house and how many stories it is. This second method is essentially the same as the first because they are using the square footage to estimate linear feet of roof line. Still others will give you a per job price. All these methods are valid. The thing to look out for is the ones who give you a price without asking any questions about your home. If the gutter cleaning service does not know how big your house is or how many stories it is, or how clogged your gutters are, or the last time you had them cleaned; how are they going to know how much work will be involved in the cleaning job? How will they know how many man hours it is going to take so they can figure out a fair price? If they are blindly giving you a price then either they are over charging or they will do a poor job so they can move on to the next house as quickly as possible. Make sure that the person you call to get a quote ask questions about the size of your home, the type of landscaping there is around it, how clogged your gutters, etc. The more information they have, the more informed their quote will be. That way there will be no surprise charges later. It would be even better if they came to your home to do an on site quote. That way, they can actually look at your gutters and take measurements themselves. Another way to make sure there are no surprises when it comes time to pay the bill is to get your expectations and the promises of the service in writing. By writing down what you are expecting and what they are capable of you will make sure that everyone is on the same page. If they cannot meet your expectations for the agreed upon price, it is better to know before they start than after. Another important thing to ask about is whether or not the company has insurance or is bonded. If someone is working on your property and is under contract with you and they do not have workers compensation or liability insurance, then you could be responsible for medical bills if they get hurt or you will not get reimbursed if they cause damage to your home. Ask about insurance and if the professional cleaners cannot answer your questions then hang up the phone and call someone else. While it is not necessary, a gutter cleaning company that offers other services like window cleaning, siding cleaning, chimney cleaning, roof cleaning, or landscaping seems more reputable. If a company has the equipment and expertise to do many household chores then they are probably well trained and well equipped. That means they are more likely to do a quality job than someone who is just working out of the back of his truck to make a few extra dollars in the fall.